The fertility test is an easy and quick way of knowing how your reproductive health is, in order to avoid unpleasant surprises in the future. Ask for our guide “IMF Lifestyle “, we give you the clues to learn how to take care of your fertility. If for professional, personal or healthy reasons you are going to delay motherhood, you should know that woman’s fertility begins to decline reaching the age of 35. 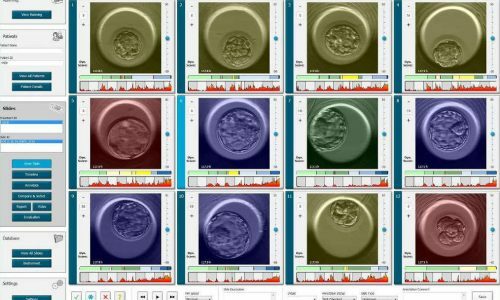 Now you can vitrify your oocytes: Your 30 year´s old oocytes, at the age you want.LET STOP THE BIOLOGICAL CLOCK!! We work with deep emotions; the desire to be parents, the frustration and helplessness of not being able and the illusion of the final result. We help you throughout the process with informative talks, group workshops and psychological support.